It’s almost certain that you’ve experienced your fair share of operational hiccups. Whether the pain points are obvious or more subtle, a new property management software can iron out the kinks in your day-to-day operations and keep your business running as smoothly as possible. With management technology advancing by the day, an update can do a world of good. In short: no matter how well a hotel runs, there’s always room for improvement in the realm of productivity. Recent advances in property management systems can automate time-consuming activities, eliminate time-wasting redundancies, and put important questions in front of customers without the need for a representative. Plus, they can do it all while freeing your team from behind the desk. Today’s customers, particularly younger guests, expect to be able to get what they want with the minimum amount of interaction with other people. They want to be able to do it themselves and be free from reliance on desk agents and staff. Luckily for everyone involved, this jibes with a desire to cut down labor costs and reduce time spent on menial tasks. However, many legacy systems simply aren’t built with the capacity to free customers up from the traditional front desk transaction. They were built in a time before everyone was carrying powerful computers in their pocket and couldn’t conceive of the idea that the average guest would be able to self-navigate a streamlined booking system. An update to your property management system that allows for this is essential. 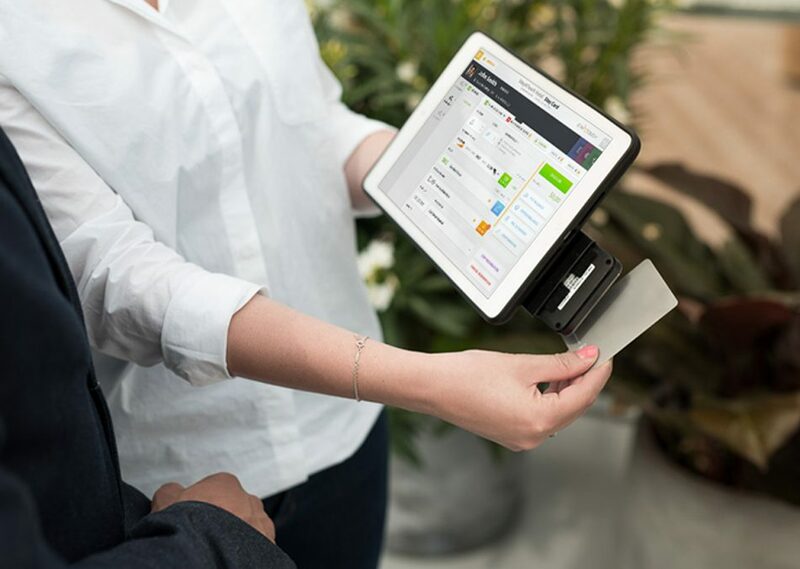 While there are obvious upsides to reducing the amount of time your team spends setting a reservation and checking in guests, the most crucial reason to move toward self-service and customer-powered transactions is the fact that it is what customers want (and, in some cases, expect). In a recent study on self-service kiosks, Hilton Hotels executive Robert Machen noted the way that customers are expecting the ability to skip lines and conversations. “Our guests are coming in with new expectations because the technology has really arrived,” he said. Cloud-computing can be used for a lot more than just freeing up hard drive space. Running software in the cloud allows all employees to access it, without needing to return to the front desk. The freedom that comes with a 21st-century system that grants access to all employees (with restrictions) via the computers they are already carrying with them and allows for faster response times to problems, quicker solutions, and less time wasted relaying information. Fewer hours spent fixing a problem creates happy customers, staff and happier owner-operators. New technology allows hotels to move away from the need to upsell with every transaction. Let your team focus on crafting the best possible customer service experience and allow new technology to handle the upsell. The same programs that create the much-requested autonomy of self check-in can also make sales for you. Every instance of customers interacting with the property via their own devices is a chance to flaunt upgrades, packages, and services they can add to their bill. No one likes to feel like they are being sold something and upsells can regularly lead to irritation when handled face-to-face. Adding a one-click button that appears with every transaction, on the other hand, lets the customer feel like they are making the decision on their own. It triggers the same sort of impulse-buy instinct that inflates the sales numbers for grocery store candy and Amazon trinkets. The average American consumer makes up to three impulse purchases a week, totaling about $5400 in instant gratification per year. Why not make one of those an upgraded stay at your property, a tour tie-in, or spa treatment? Giving the option of ordering food is bound to snag quite a few guests, as nearly 71% of people said that food was their main impulse buy in a recent survey. New technology enables operators to give the people what they want, even if they didn’t know they wanted it mere minutes ago. There are few things worse than blocking on an issue because a vendor is slow to get back to you. The helplessness that comes from waiting on a response to your crucial questions is a terrible feeling. It combines the frustration of feeling ignored with the already existing anger that something is broken, then it tops it all off with the gnawing sensation that you’re losing money by the minute. New systems were built for a generation that prizes instantaneous response and quick fixes. It often follows that they build their troubleshooting to rapidly respond to any problem that arises. And that ability to remotely access a system proves its usefulness once again, as cloud systems can be accessed by the people who know them best. The long, painful process of explaining a solution over the phone is hereby eliminated. New property management software isn’t just for getting opportunities to buy in front of customers before they know they need it, it can also tell owners where they need to focus their efforts before they think to ask. These new systems can show you and your team the type of customers you are pulling in, the types of experiences they tend to want, and their past raves and rants about your property. Letting the system do the legwork enables team members to cater stays to the wants and needs of given customers and helps to ensure that they will be back. Rather than searching around to find what a room goes for in your area, technology can grant you the opportunity to see what you should be charging and what your customers will be willing to pay. Newer systems can connect to top-of-the-line revenue management systems that create flexible, optimized pricing pulling from sources, including competitor pricing, weather forecasts, and data that gives insight into buying habits. It’s an incredible time-saver for the team that sets the rates. It’s freeing them up from time-consuming manual searching and incorporating data into suggested prices quicker than they could find it. Cloud-based, quick, and responsive, property management systems offer a substantial increase in productivity by bringing your property into this century and offloading the calculus of running a hotel to the machines. Upsells, rate-setting, troubleshooting, and even check-in can be handed off to systems that can solve problems faster than you can identify them. Even better, these computer-generated solutions can be accessed by all, without the need to run through a nerve center. So freed, your team will be available to guarantee that customers have their best possible experience in the places where a human touch still matters. Sign up for a free demo to see how a mobile hotel PMS increases revenue and guest satisfaction.